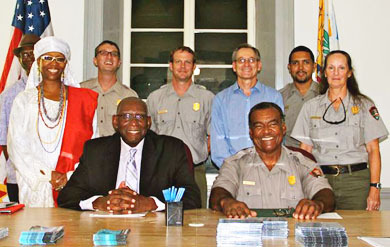 CHRISTIANSTED — The National Park Service (NPS)is one year short of its centennial, turned 99 years old on August 25, but it didn’t wait for the round number to celebrate. 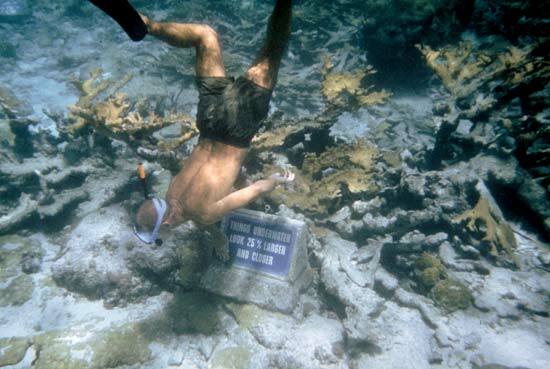 The agency is inviting visitors to spend the day at one of 408 national parks, monuments and other sites, and waiving fees for the 127 of them that aren’t already free to enter – only it wasn’t well publicized in the Virgin Islands. Yellowstone was the first designated national park, established by Congress on March 1, 1872 “as a public park or pleasuring-ground for the benefit and enjoyment of the people,” and several other parks and monuments were authorized in the decades that followed. But it wasn’t until August 25, 1916 that President Woodrow Wilson signed the “Organic Act” that created the National Park Service as a federal bureau to oversee the system of parks. Nearly a century later, the National Park System now covers more than 84 million acres in 50 states, the District of Columbia, American Samoa, Guam, Puerto Rico, Saipan and the Virgin Islands, according to its website, and employs more than 20,000 people. The system—which includes national parks, historic sites, monuments, recreation areas and more—recorded nearly 300 million recreation visits in 2014. Of the 58 national parks, Great Smoky Mountains National Park was most popular in 2014 with more than 10 million recreation visitors, followed by Grand Canyon, Yosemite, Yellowstone and Rocky Mountain National Parks, with 3 million to 5 million recreation visitors each. In honor of its last year as a nonagenarian, the service launched “Find Your Park,” a new website featuring centennial events, a quiz to help you choose a park to visit, and a list of 99 suggested activities to try. It asks visitors to share their park experiences on social media using the hashtag #FindYourPark with the promise of prizes—such as tickets to the centennial celebration and yearly national park passes—to the top 100 submissions. The NPS is not only celebrating its past as the centennial approaches, but it is also looking ahead to the tasks awaiting it in the next 100 years. “To us, it’s not about cakes and candles—it’s about being an organization ready to take on the challenges of our second century,” reads the webpage introducing “A Call to Action,” the NPS’s vision and blueprint for the next century.